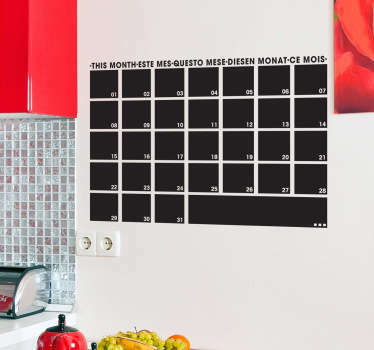 A practical collection of wall planner stickers to help you to keep your home or business organised. 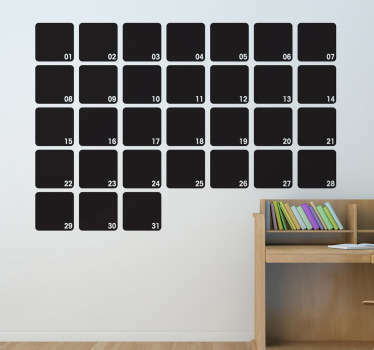 These chalkboard wall stickers allow you to draw freely on your surface without making a mess! Perfect for helping to keep your family up to date with their appointments and events. Ideal for placing in kitchens or hallways. 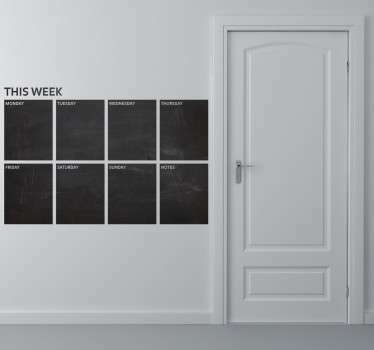 Choose from weekly and monthly planners. A range of sizes are available to suit you and the space you want to decorate. Apply easily to any flat surface and remove without leaving residue. All stickers are made from high quality and anti-bubble vinyl.